I didn't get a chance to work on the Snuggly Squares baby quilt over the weekend as I'd hoped. The stipple quilting keeps getting looser and looser in my mind the longer it takes me to get it done, LOL. And that's pretty much it for my WIPs right now! I have fallen in love (all over again) with vintage sheets. I'm a little nervous because I may have mentioned about a previous obsession many years ago (10-12) with vintage linens in general and my subsequent 18 large tubs filled to the brim with them. I eventually let all but 1 tub go in several garage sales, eBay, donations, and generally begging anyone who came over to take some linens with them as they left. Now I am back to scouting out every Salvation Army, Goodwill, and thrift shop in a 20-30 mile radius just so I can dash in and see if they have any good vintage sheets. I've been busy the last week! I posted earlier about the Hungry Caterpillar quilt I made for a baby shower. I also made Maddy a little tag blankie. I used some Minkee fabric on one side, and a piece of an old sheet on the other. This was super-easy to make! I've cut the 2.5" squares from my Giddy jelly roll for the Birdie Stitches BOM. I started sewing them together Monday night. Tonight I will start quilting the Snuggly Squares baby quilt, and I am hoping to get that one completely done (quilting and binding) by the weekend. In the meantime, the Merry Grinchmas kit came in the mail, and it so dang cute it's all I can do not to start it too. 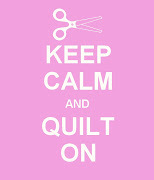 I feel like I have hundreds of ideas for quilts I want to start, but so little time! PS - new episode of the CGM Podcast will be up by the weekend. Thanks for listening! Book Giveaway Winner: #12 Maddy! Congratulations to #12 entrant Maddy! 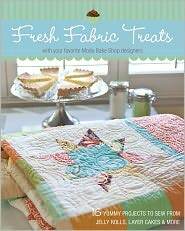 You are the winner of Fresh Fabric Treats from the Moda Bakeshop designers. 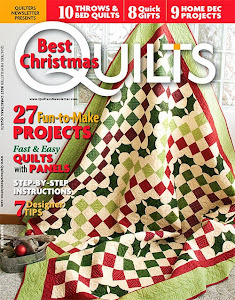 Email me at taneshaquilts@yahoo.com with the address to send the book to and I'll get it in the mail right away. Baby Quilt in a Weekend! I bought the Very Hungry Caterpillar panel and fabric a few weeks ago when I was in St. Michaels, MD. At the time I had "grand plans" to make a baby quilt as a shower gift for a friend. Boy does time go by fast because I looked up earlier this week and realized that the shower was THIS WEEKEND! I'm sure you don't need to ask if I had even started on the "grand plans baby quilt gift"....nope, the whole set was sadly still in the bag! Cute huh? And so easy! I was finished with the whole thing by 12 am Sunday morning, and that's with diaper changes, feedings, playtime, a trip to the carnival included! One thing that I will note is I used Heather's (Olive and Ollie blog) tutorial on binding with your machine: fan-tas-TIC! This also helped speed the process up so much - no hand sewing on that dang binding!! I am a little envious of another baby getting this playmat-size quilt, so I couldn't resist laying Maddy down on it and "pretending" it was hers for a moment, LOL. She likes it so I'm off to buy another panel and put this on my "to do' list.......hopefully before she's entering college! What craftiness did you get into this weekend? Finished Snuggly Squares baby quilt top! Isn't it purdy? I was all set to finish this one until I realized I had nothing for the backing! I tend to buy batiks, hand dyes, and motif prints in small amounts for my landscape quilts, so when I make a different style of quilt, I never have enough backing fabric. I'd like to find this same line of fabric and buy the required 1 1/4 yds. needed, but none of my local quilt/fabric stores carry it anymore, and even the online shops are proving hard to find. Oh well, it's a simple enough motif for a baby girl I am sure I'll find something! I'm working on a tooth fairy pillow for Samantha...she already lost her first tooth last weekend! There is another loose tooth about to fall out, so I definitely want to finish this one so she can put her tooth in it. By the way, what's the going rate on teeth these days? We gave Sam a $1 bill because A. she's four and who the heck knew a four year-old would be losing teeth already?!?! I thought I had at least until Kindergarten (next year). and B. we're cheap and the $20 bills we've heard people give their kids just sounded ridiculous to us...she doesn't even know what to do with the $1 bill except to put it in her piggy bank. How much does the tooth fairy leave behind in your house? I got to venture out on my own last weekend and attend the regional quilt show in my area. It is hosted by the Quilters Unlimited Guild of Northern Virginia every year, and they do a fantastic job. I amazed myself by not purchasing a whole lot other than a small wall hanging kit for Fall I think I'll make for my Mom (it's her style) and 12 small bundles of hand-dyed wool felt I could not resist. They came in colors I've NEVER seen wool felt in before, and it was one of those purchases you make saying to yourself the whole time, "I have no idea what I'll make with this, I shouldn't even be buying this, but I want it, so shut up "self" and hand over the Visa." There were a lot of beautiful quilts hung with care. Some were hung a little too high for my liking - I prefer them all to be at eye level so you can see both the front and back if you want, as well as to be able to get really close up to the quilt to see the quilting. In spite of that, I was able to take some photos of my favorites, but unfortunately only my iPhone camera would work! So these aren't the highest quality photos you'd expect on a blog, but I wanted to share them with you anyways. Unfortunately this one was hung too high for me to see the label....isn't it gorgeous though? So was this one...another of my fav's! There were, of course, many more beautiful quilts. Hope you enjoyed this little bit of "eye candy" and have a great week! Total "fluff" reading for me this month! 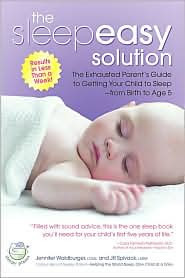 Ever since I got my first child to go to sleep using this method, I've sworn by it and recommended it to anyone who asked me about ways to get their baby to sleep. As I write this blog post we're on Day 1/Night 1 of the method and boy, it's HAAAAARD. But having been through it (4 years ago!) I know that it gets easier everyday, and I don't think I've heard anyone say it took them more than 7 days to have their baby (must be at least 4 months old) going to sleep within 10 minutes of being laid down. 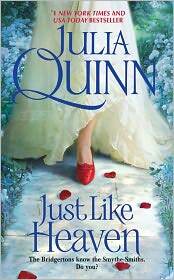 I love Julia Quinn's romance novels. 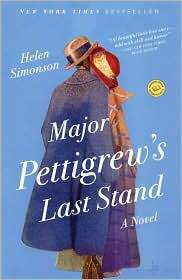 They're very witty and I like that she manages to write a strong and funny female character during a period in history where young unmarried women didn't have much say in...well, much LOL. I've had an advance copy of this for several weeks now, but only just getting the time to pick this one up. I really enjoy this series, and can't wait to see what Marie has in store for our Cobbled Court friends! 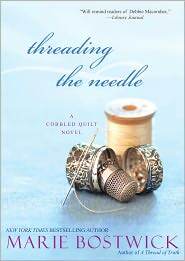 I absolutely love the Stephanie Plum series and can't wait until this one comes out on June 21st. Yes, even "I" have to wait for the real one to come out because they're so popular very few, if any, advance copies are given out, so no one spoils it by leaking what happens. 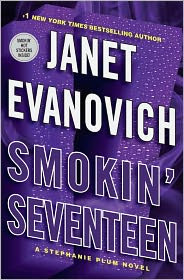 These are super-quick reads, laugh-out-loud hilarious in some parts, and the characters/setting make you want to drive to Jersey just to see if it's possible they exist....but if you've watched even 5 minutes of Jersey Shore or Jerseylicious you'll know Janet Evanovich had some Jersey natives pegged long before those shows started airing the state's "dirty laundry" LOL. That's it! Like I said, this is a "fluffier" month of reading for me, knowing I have a lot of Fall advance reads to get through in the coming months. What are you reading this month?